Note: Ride details for each day with start location and Ride With GPS link for the specific ride expected for that day will be posted via Ride Updates before the ride. Ride part of a potential new McClinchy Mile century route. Moderate pace (14 – 16 mph), 40 – 60 miles, A/B terrain. 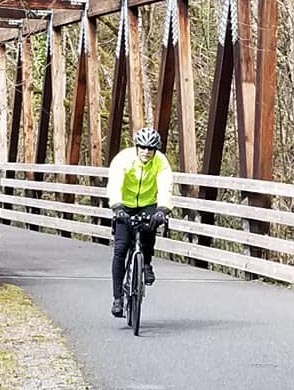 Ride leader: Rick Proctor,BikeHound@comcast.net, 425-293-3153. Ice, snow or steady rain cancels, check the Ride Updates page or call/text if in doubt. Ride with GPS link for the potential century route: https://ridewithgps.com/routes/28787190. Changes to this route are likely during this exploration phase. Contact ride leader with any comments.